Update January 11, 2017: The multiplayer beta for Halo Wars 2 has been dated, and it’s coming to us all in just over a week. Available for Windows 10 only, the beta will show off the strategy game’s new card-based mode, Blitz. 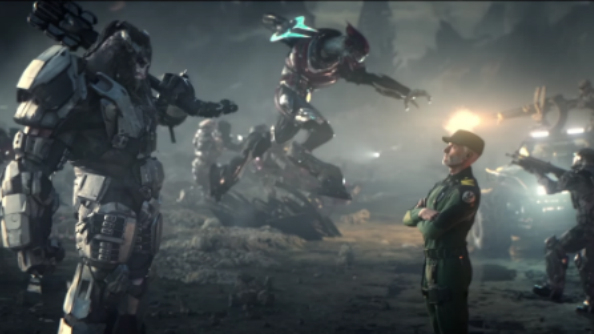 You can read about that in our Halo Wars 2 hands-on, or watch the video above. For the battle-hardened mind, here are the best PC strategy games to test your wits on. “Blitz is our new twist on RTS gameplay that combines the deck building and split-second decision making of card-based strategy play with explosive tactical combat in the Halo universe,” says the official description. “Your card deck, along with your faction leader, are your greatest resources as you assemble a collection of air, ground and infantry units and seek to out-think and out-maneuver your opponents on the battlefield. The date for the beta was announced in a tweet from Microsoft executive Larry Hryb. The beta will run from January 20-30. Original Story August 13, 2016: The sequel to RTS Halo spin-off Halo Wars 2 will be getting another beta in early 2017 and this time PC users get to check out the action. In an Xbox Wire announcement, Dan Ayoub of 343 Industries said the second early test of the game would run early next year for both Xbox One and Windows 10 players. The previous beta, run through June, gave the developers at 343 and British-based Creative Assembly (responsible for such modern RTS hits as the Total War series) a lot of feedback, which they’ll be acting on before the next playtest. You can read the full list of changes being made to the controls, leader powers, bases, resources and population on the Xbox Wire post. 343 previously hinted that the next beta would include a new mode, as the last included just two multiplayer modes.